If you’ve been a reader of my blog for any time you’ll know that I’m intrigued by (and a big fan of) the notion of The Democratization of Entrepreneurship. It’s not that I think entrepreneurship solves all the world’s challenges, but I deeply believe in the notion of entrepreneurship as a catalyst for positive social change across the globe. It’s a powerful force and we’re seeing more and more examples of entrepreneurs creating real change around the world, community by community. Late last year I had the opportunity to spend a week in Palestine working with entrepreneurs and traveling in the region. It was part of my work as an advisor to Sadara Ventures – the only Palestinian focused venture fund (Google, Soros, the EU, Skoll Foundation and others are investors in the fund). It was an eye opening trip to say the least and a truly amazing experience to be working with entrepreneurs in an area that is experiencing so much turmoil. This is a personal story and one about entrepreneurship. But it’s impossible to tell that story without the context of the political reality on the ground. In fact everything in Palestine to some extent takes place with that backdrop (and perhaps – at least as it relates to business and investment – in spite of it). I’m in no way trivializing the conflict nor suggesting that the answers to the region’s problems are easy ones that can be fixed if we only better supported entrepreneurs. But it was refreshing to spend time with people living literally behind the wall, but looking past the political situation to try to create an environment in which entrepreneurs can survive and thrive. 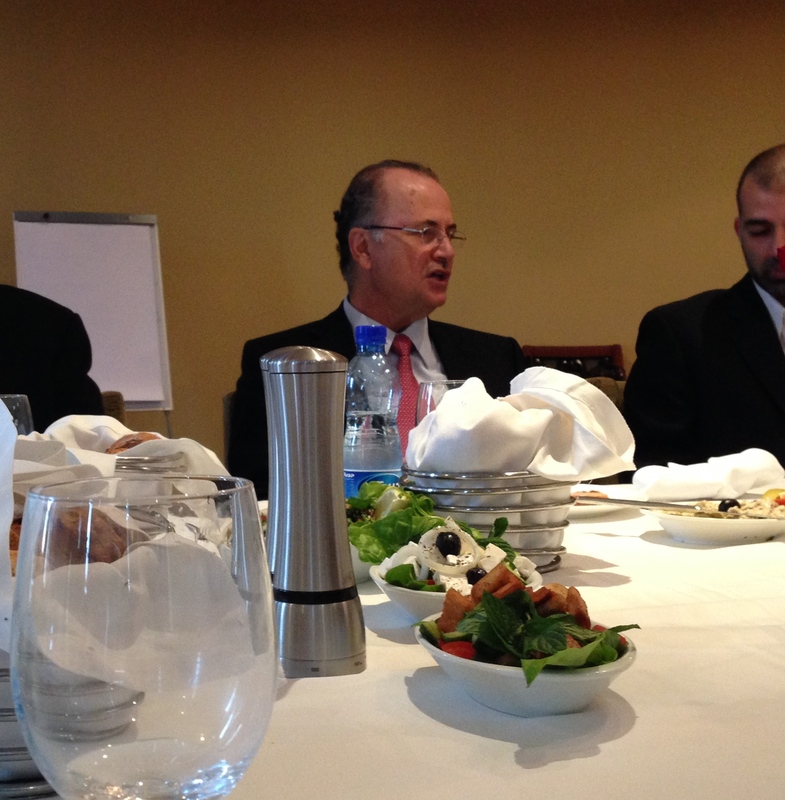 While in Palestine I had the opportunity to work with a number of entrepreneurs, meet with locals in shops and restaurants, but also to meet with a handful of key business leaders as well as the Vice President of the Palestinian Authority. 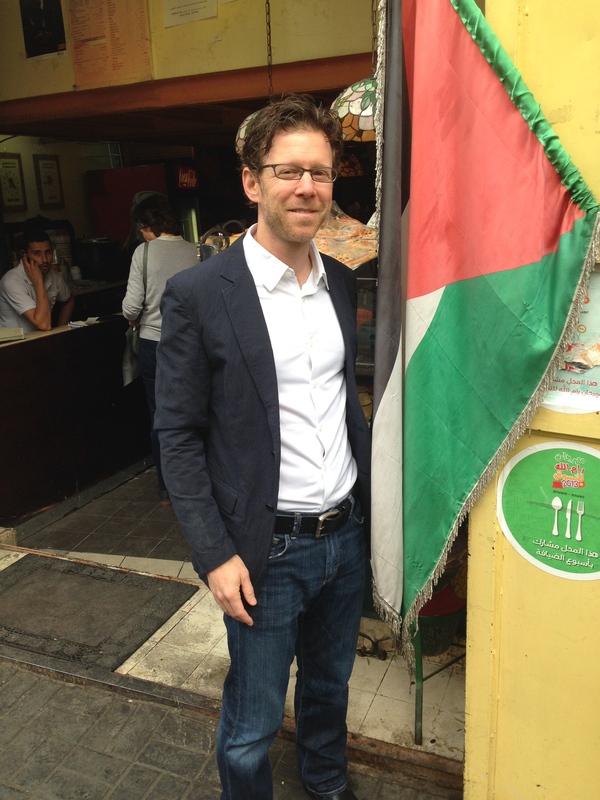 The perspective I gained was a true cross section of Palestinians and as varied as the backgrounds of the people I met. A little background and context. Palestine can be a rough place. GDP per capita is low – about US$ 1,650 per capita. The overall labor force participation rate is only 43% and unemployment is over 20%. The population is very young – 70% are below the age of 30 (and 40% younger than 15) and youth unemployment is over double the overall rate. Movement in the territories is pretty restricted (and here I’m referring to the West Bank and not Gaza, which is completely closed off). 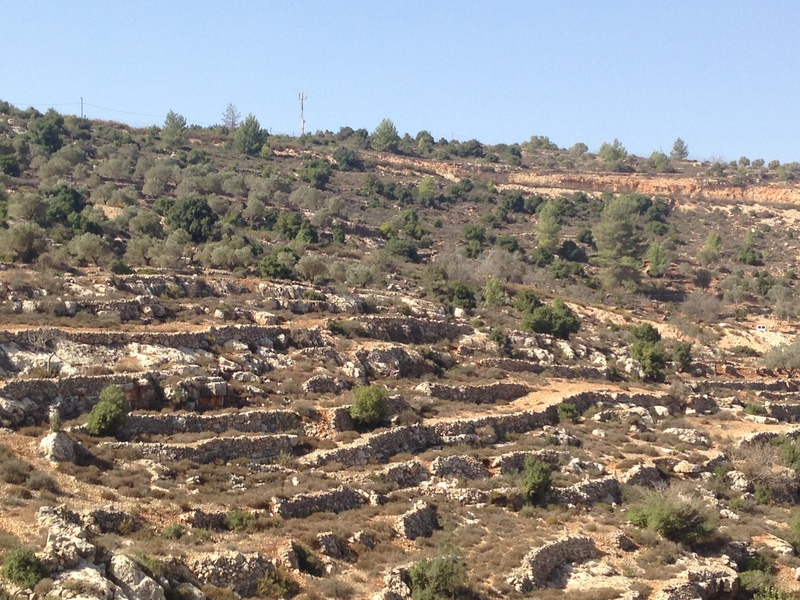 The West Bank itself is about 5,600 square kilometers (so not exactly tiny) but movement into and out of the territory is difficult. As a foreigner I could come and go as I pleased (as a side note, getting into the West Bank was much easier than getting out – really meaning getting back into Israel; the very heavily armed Israeli soldiers weren’t all that impressed with my US passport, nor I suspect my very Jewish sounding name given where I was coming from). Some Palestinians do have papers that allow them to travel into and out of the West Bank (particularly those born in/living in East Jerusalem which is an area in dispute, but is on the Israeli side of the wall). Israelis are restricted from entering Palestine – by the Israeli government (presumably concerned that any violent act by or on an Israeli would case a political storm) – and several of the Israelis associated with Sadara had to obtain day passes to enter and exit (they were denied the ability to stay overnight in Palestine and instead had to drive back to Jerusalem each night; I was able to stay in the center of Ramallah at what turned out to be a pretty nice hotel). Cars in the West Bank are restricted to the territory if they have a white license plate but can access Israel if they have a yellow one. Even in Israel travel is a somewhat restricted with frequent check-points on the main highways (traffic slows, but does not stop through these). 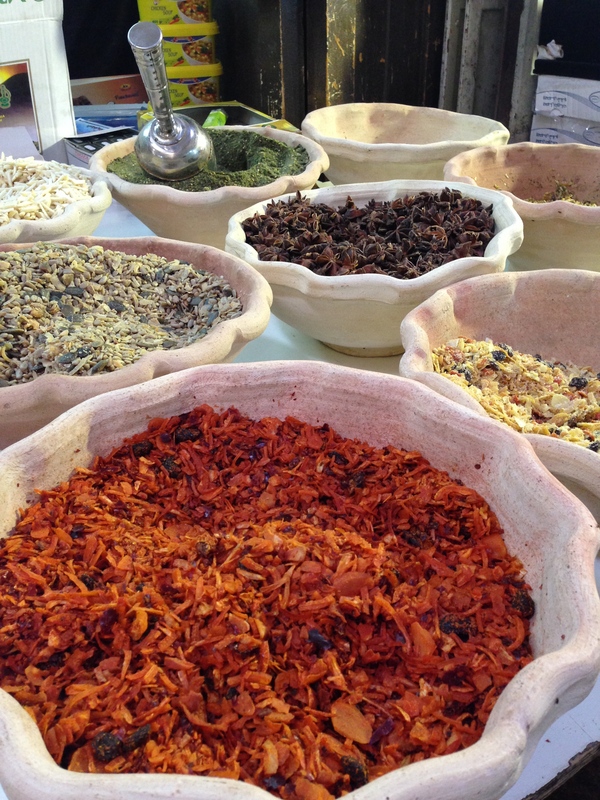 Entrepreneurs in Palestine are like entrepreneurs everywhere – optimistic, hard working, a tad fanatical at times. And while many of the businesses I was helping with were building products targeted to the Arabic speaking world in the EMEA region, the businesses they are creating would be familiar to any entrepreneur – travel and hotel bookings, content for kids, a gaming platform, 3D rendering systems, etc. It’s that passion for their projects combined with their desire to build businesses in Palestine that really stuck out to me from my visit. Many of the entrepreneurs I met with were educated in the US or Europe and had papers that would have allowed them to start their businesses elsewhere. But they’ve chosen to come back to Palestine to work there in an effort to try to make a difference in their homeland. Many spoke eloquently about this choice and the decision to move back home. I have a lot of respect for that kind of national pride. 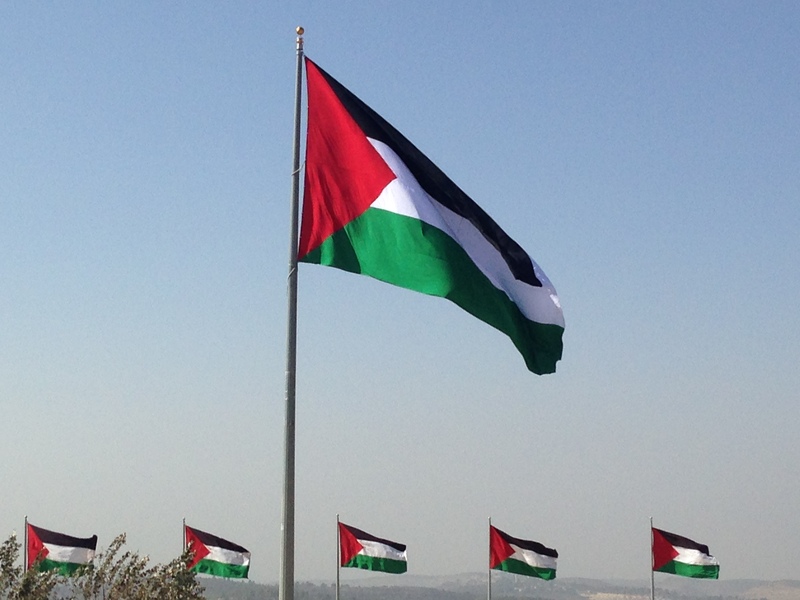 But especially in the context of the political situation in the West Bank where another Intifada would put the region again in a tailspin – business leaders in Palestine talk openly about wanting to avoid this but also with the understanding that there was little anyone could do to either predict or prevent another uprising (although they also recognized that economic stability leads to greater political stability). 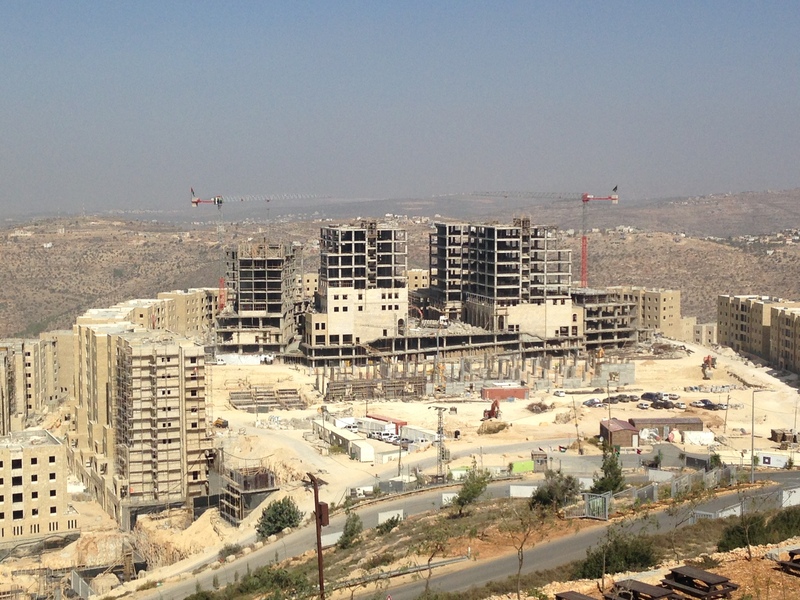 I left Palestine completely energized about the work going on there in the entrepreneurial community and hoping that I can continue to help pursue economic development in the region. What follows are some images from my visit as well as some background about them. Video from the “no-man” zone on the Palestinian side of the wall but not yet truly in Palestine (the Israelis set this area up basically as a buffer to Israel but its become this sort of bizarre in-between land that’s neither a true part of Israel or Palestine. There are several refugee camps just to the south of this area that we passed on our way in. 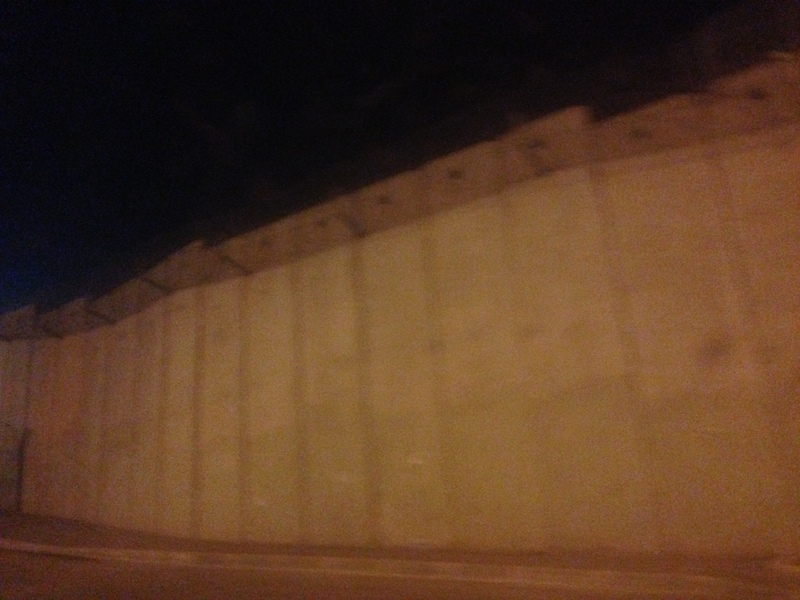 The difference between the Israeli side of the wall and the Palestinian side makes it clear who erected the barrier. 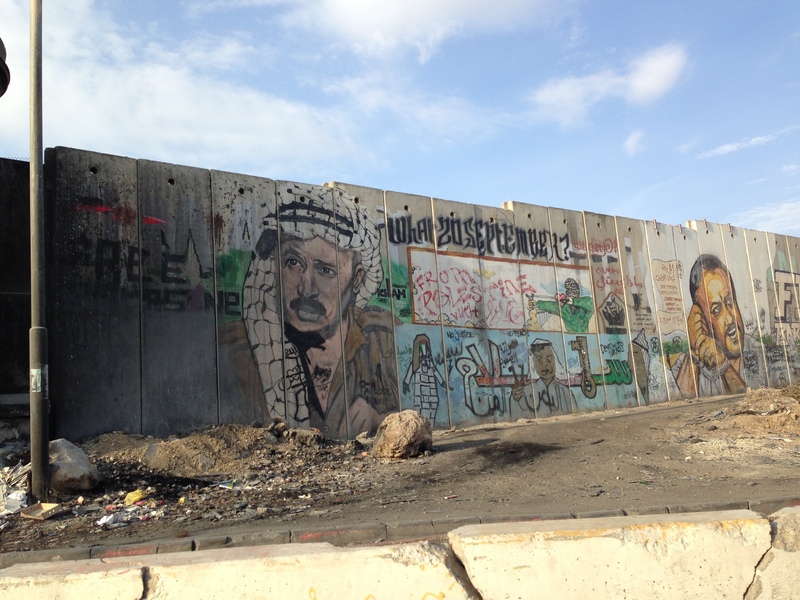 The Israeli side is pristine while the Palestinian side is covered with graffiti. 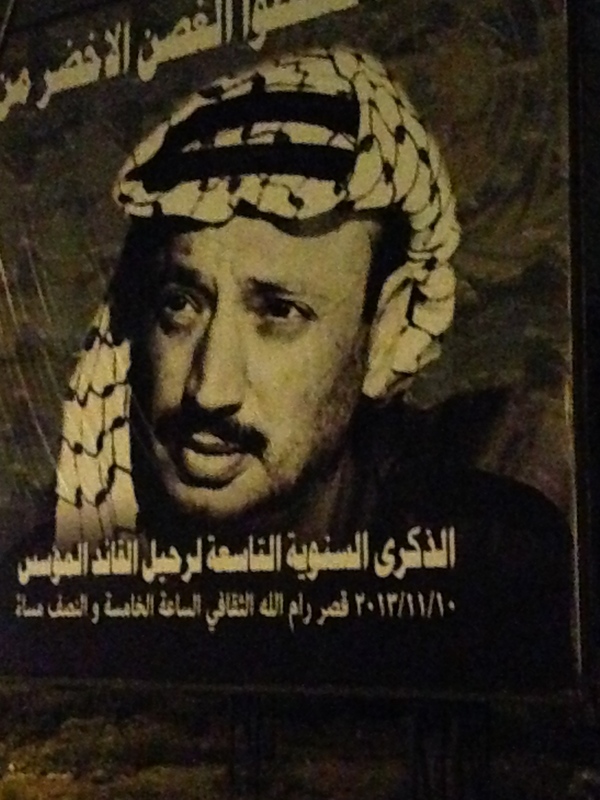 Pictures of Yasser Arafat are everywhere in Palestine. I was fortunate to have the opportunity to have lunch with Dr. Mohammad Mustafa, Vice President of the Palestinian Authority. He’s widely talked about as the next PM of the Palestinian Authority. Interesting to say the least (my visit happened to coincide with a visit to the region by John Kerry, the US Secretary of State). The details aren’t appropriate to get into, but Dr. Mustafa has an economics background (he was trained in the US and worked for 20 years in Washington) which I think lends itself to a pragmatic view of the world. Although even with that, the severity and length of the conflict leave even practical thinkers on both sides at odds over certain of the most difficult points of contention. 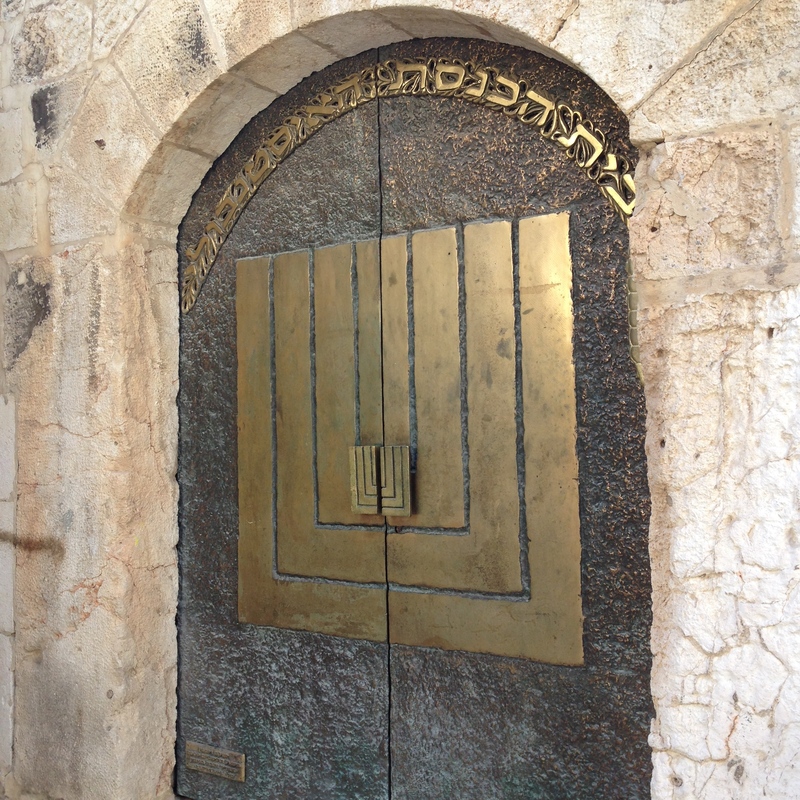 I had a chance to tour Jerusalem for half a day. 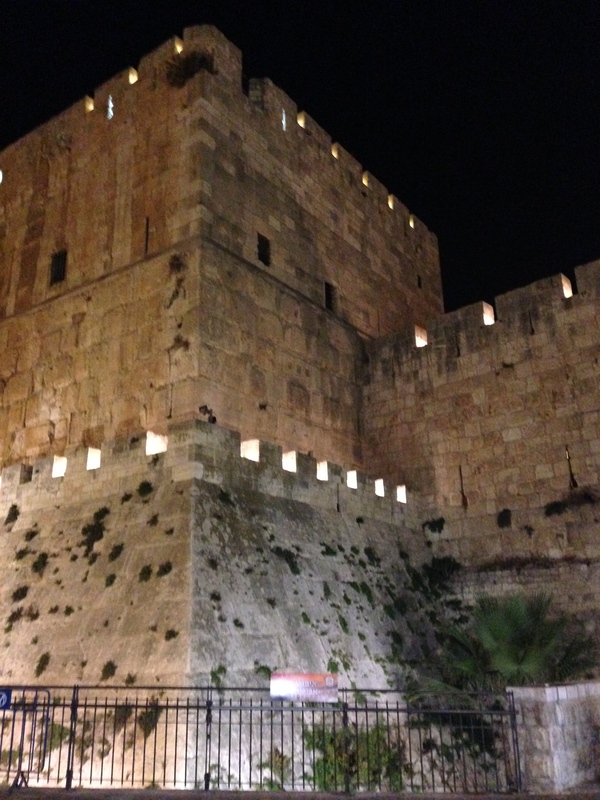 It was my first time in Jerusalem – obviously a city rich with history. 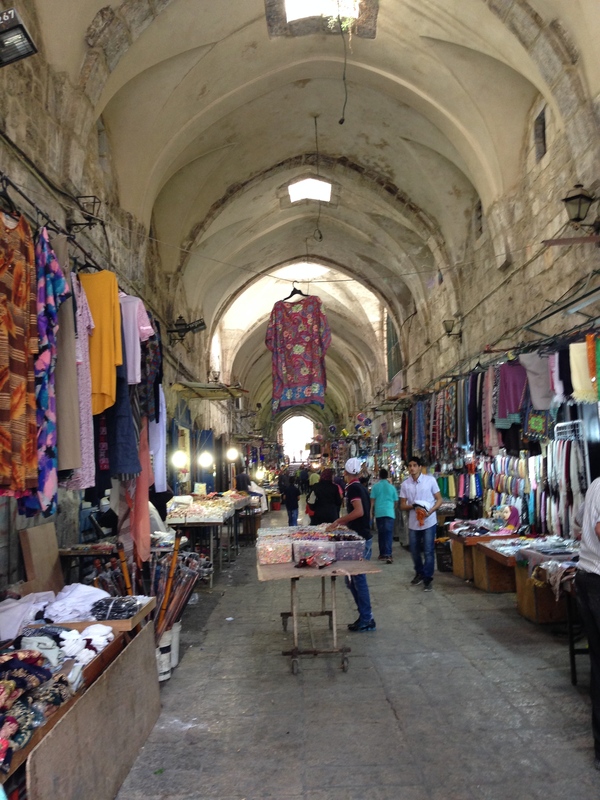 The pictures below include me at the Western Wall as well as some of the marketplaces and architecture around town. 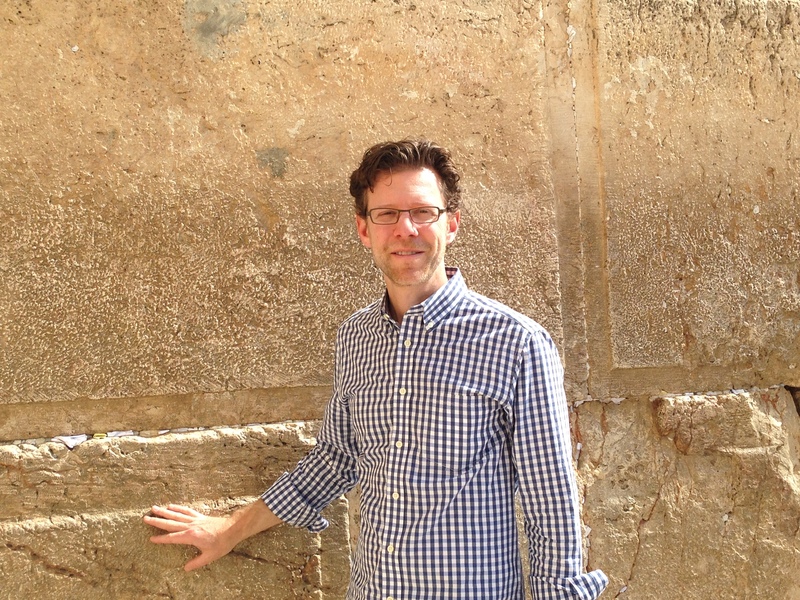 My tour guide in Jerusalem said something to me that, while I hope isn’t true, really stuck out to me. We had just gone through the Church of the Ascension and were ending our tour. 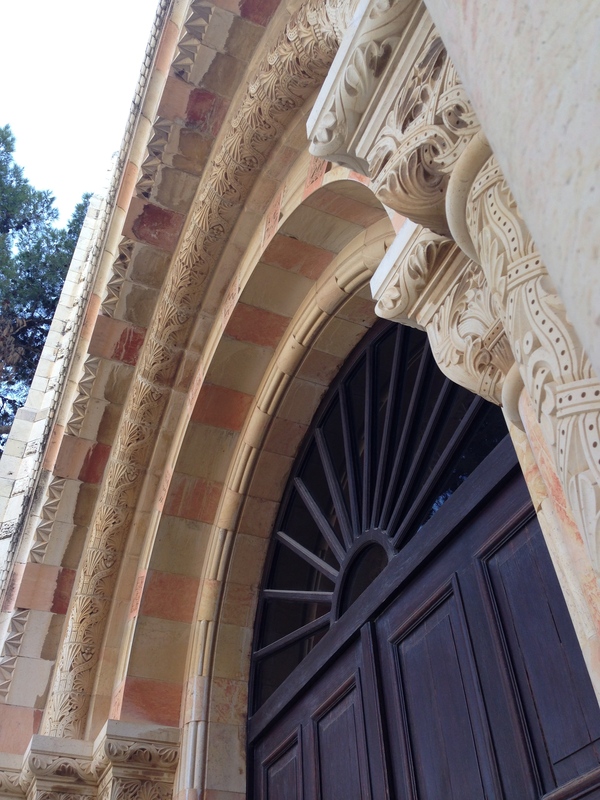 Sitting on the steps of the Church I said to him: “You seem like a pretty reasonable guy and you’ve lived here for something like 20 years, what do you think the solution is to the fighting and disagreement in the region?” To which he responded: “That’s such an American question. What makes you think there’s any solution? 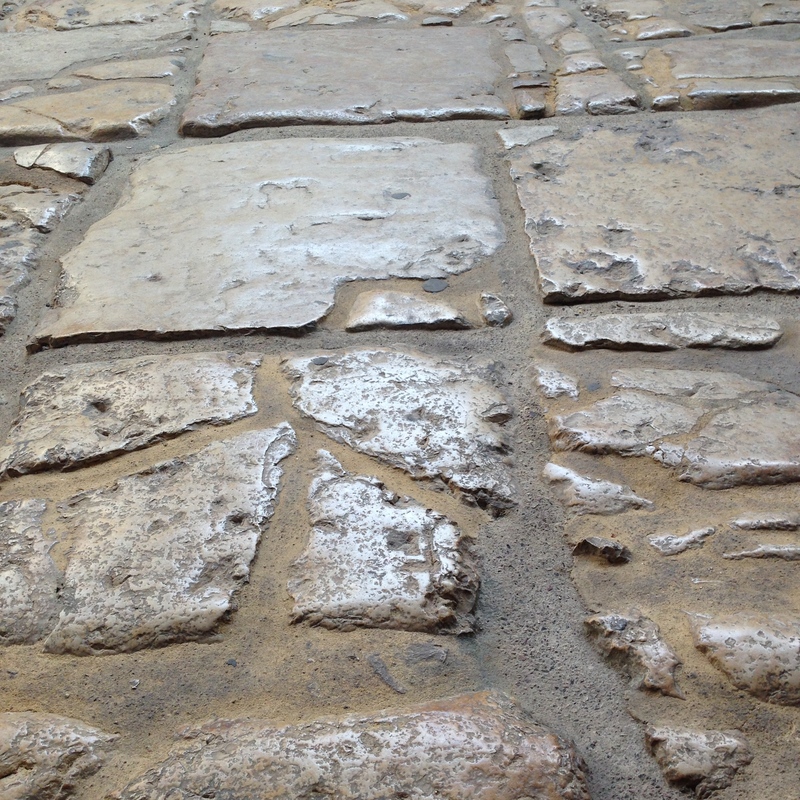 This is a place where people have been fighting each other for 3,000 years. Maybe that’s just how it’s going to be.” I certainly hope that’s not the case, but the idea of finding a “solution” as being a distinctly American way of thinking was something I’d never thought about in that way before (I asked him if this view was broadly held he said it was, although he and many of his friends do hope that there’s some kind of path to peace). 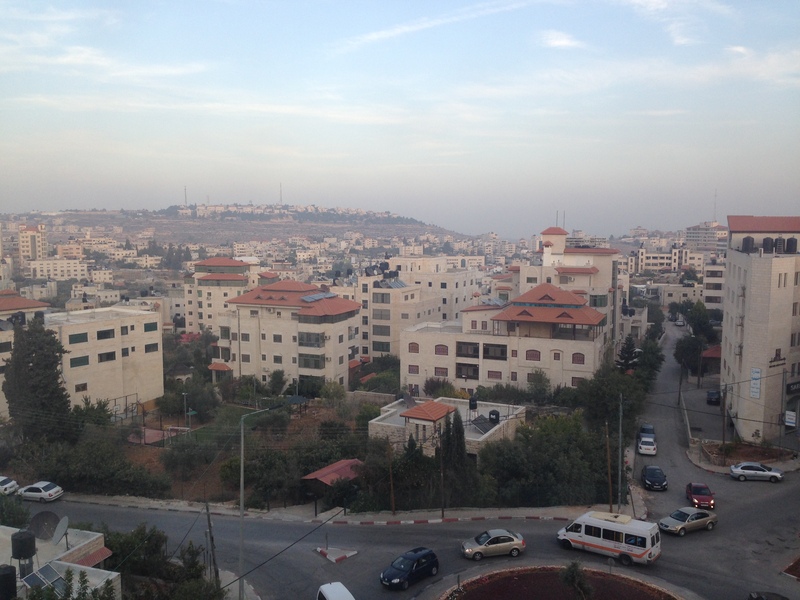 I was also able to tour around Ramallah and the West Bank a bit and captured some photos from that part of my trip as well. 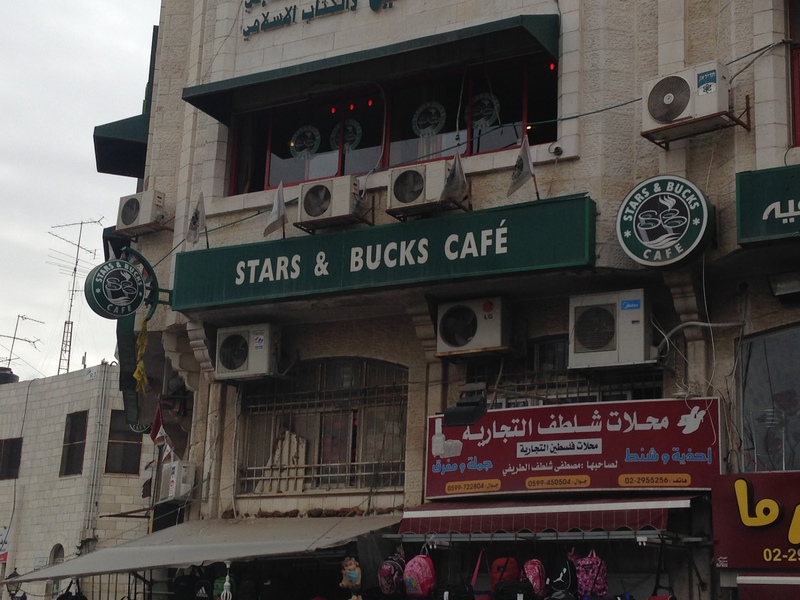 Among the photos below is the “Stars and Bucks” coffee shop in Ramallah, the still under construction city of Rawabi – sometimes referred to as the “Palestinian Settlement” (it’s a full city being constructed for Palestinians in central West Bank; I had a chance to meet Bashar Masri who is a well known Palestinian entrepreneur and the main force behind the project). 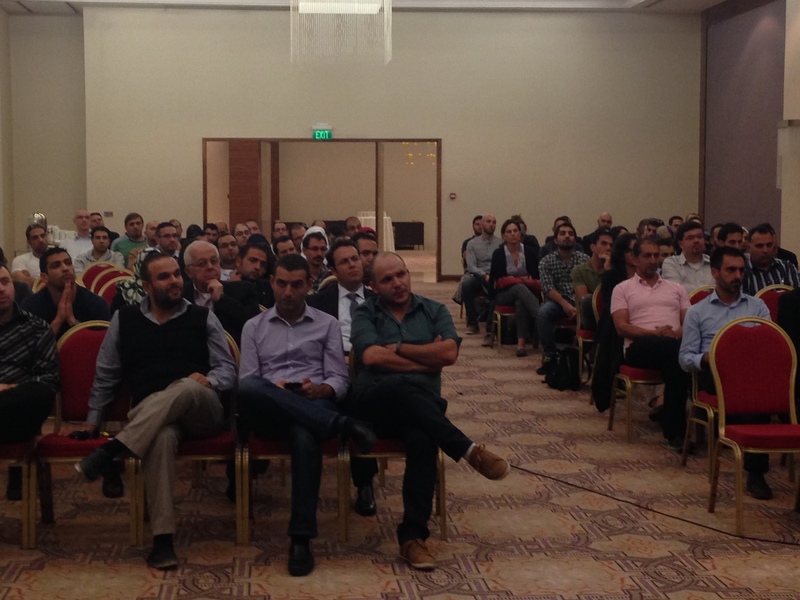 There’s also a picture below of the Entrepreneur Meet-up that we hosted in Ramallah one of the evenings of my visit. We had over 100 Palestinian entrepreneurs get together to talk about creating entrepreneurial communities and enhancing opportunities for Palestinian entrepreneurs. 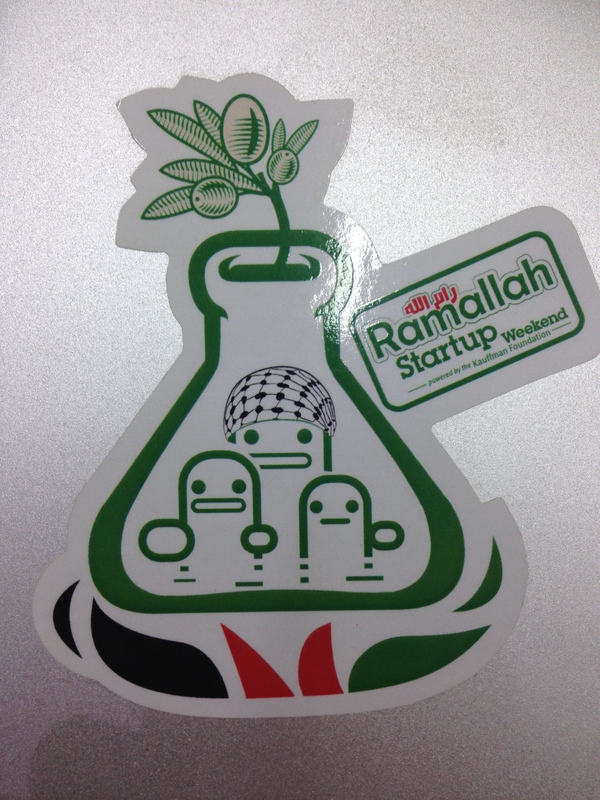 There’s also a picture of the “Startup Weekend Ramallah” sticker that I saw on many laptops around town – Ramallah has now hosted two such weekends. The final story from my trip comes as I was leaving. The airport in TelAviv is famous for its security – I had to show my passport 3 times before I even got to the check-in counter. As part of this process every passenger goes through a triage process where they’re asked various questions about why you’re traveling, what they were doing in Israel, etc. Basically trying to suss out whether you’re likely to want to try to sneak a bomb onto your plane (based on this interview they then put you through various tracks of security ranging from pretty much what you’d experience in any US or European airport to hour+ interrogations accompanied by detailed bag and person searches). Upon taking a look at my passport the triage team in my case then spent the next 10 minutes quizzing me in a way that I can only summarize as “Exactly how Jewish are you?” I had provided them some information on the purpose of my visit (but no details on where I went or whom I met with) so that had at least a little context – you would think – to give them reason to ask about what I was doing there. But no – all the questions were centered on where I went to temple, how often I went, etc. Apparently I successfully convinced them that I was Jewish enough because after 10 minutes they let me through the light version of Israeli security. A huge thank you to Saed and Yadin from Sadara for hosting me. 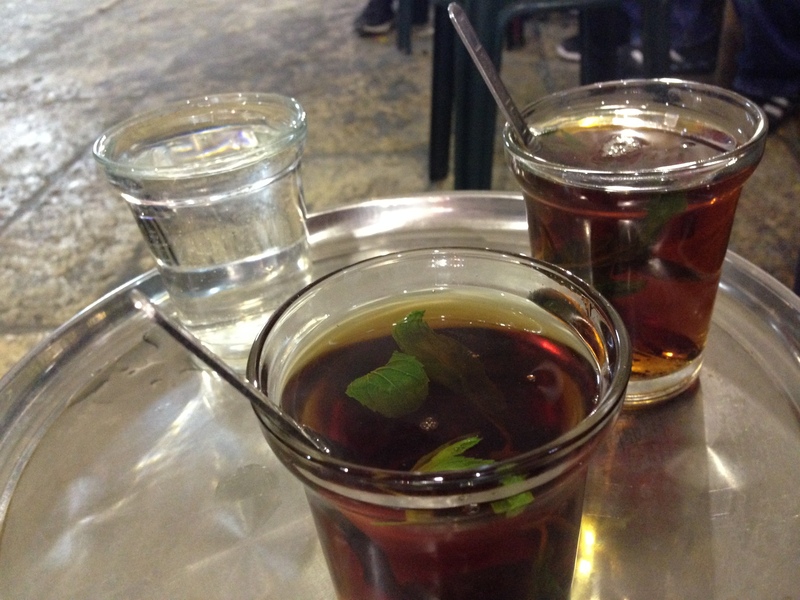 And especially to all the great entrepreneurs I met with while I was there (especially George for the great meal in East Jerusalem and Yousef for our breakfast in Ramallah). It’s both humbling and exciting to be welcomed so warmly into this great community of entrepreneurs.